Hello and happy Thursday, friends! I don’t think I need to even say that I am just waiting for Spring over here! It seems like this Winter is going to last forever! It doesn’t help that we keep having snow and ice right now in Missouri. Lana’s school was cancelled today, so we are just spending the day together! I will quit complaining, though, and start to share more about some of my Abercrombie purchases lately. 🙂 They are all under $50 right now (except for the leopard hoodie), and I plan on using them as I transition into Spring! I’m so excited for all of the Spring outfits! I like to pair cardigans and sweaters with shorts as it gets a little bit warmer, so everything below should last me for a while as the weather slowly changes! I also just ordered some slim fit jeans that I have been wanting to try! They look SO cute, so I got two different styles of them! Shop My Recent Abercrombie Purchases Under $75 Below! Abercrombie has easily become one of my favorite places to shop online! They always have such cute clothing and great deals! I love to stock up on a bunch of clothing when they have their sales (which is a lot)! I got an XS or a Small in everything I linked above. The reviews are a BIG help, so definitely take a look at them. 🙂 I also went down a size in the slim fit jeans. Enjoy shopping, and I will talk to you all soon! Also, if you ever want to shop any of my daily outfits, just go to my blog’s shop page! 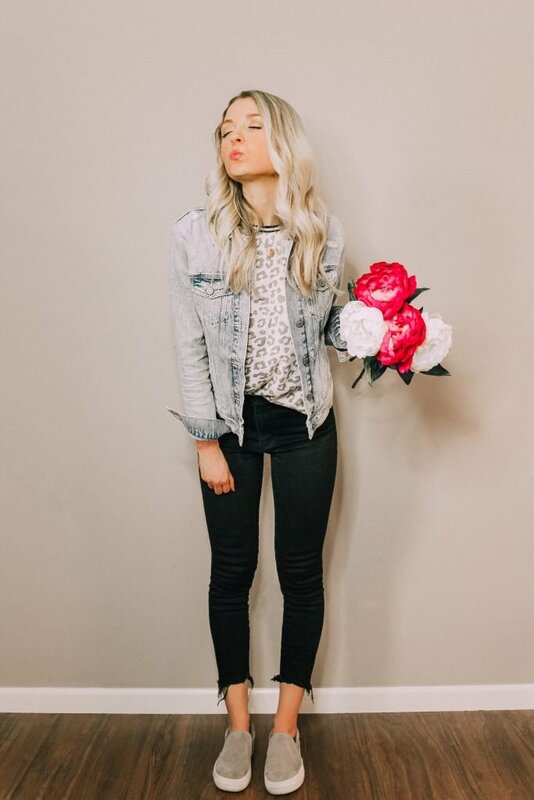 This entry was posted in Fashion and tagged Abercrombie style, jean jacket, leopard top, Spring outfit, Spring outfits, Spring style, style blogger, transitional style, winter outfit, Winter outfits, Winter style.